In a new commissioned Walsall Ceramics pot. A few shots of this promising bit of material airlayered from a parent tree two years ago. 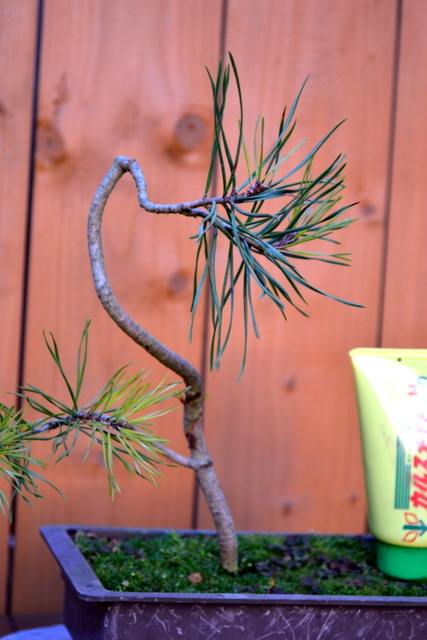 It’s been recovering from its first rootprune and repot earlier in the year. No new shoots this year so I’m leaving it to bounce back and next year I’ll consider pruning and styling. Took the cutters to this pine yesterday. Sacrifice branch at the bottom left on to help thicken the lower trunk. It’ll go into a ceramic pot in spring. 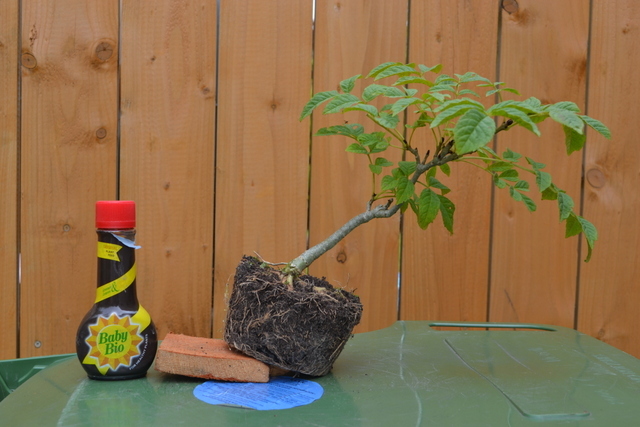 This is an ash sapling that self seeded in the garden 3 or 4 years ago. 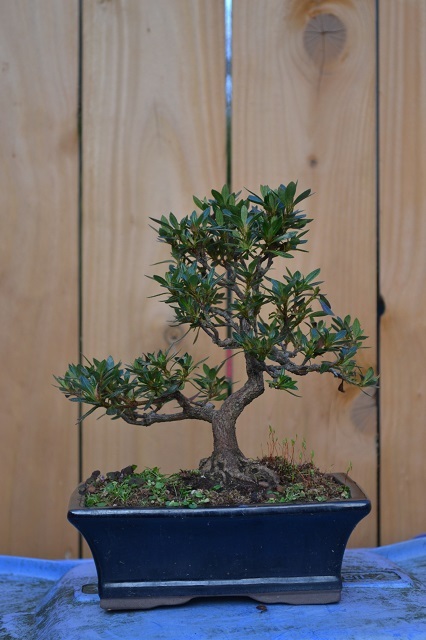 It was put in a flower pot and then has been largely ignored since then but recently I had a closer look and I actually really like it as potential bonsai material. 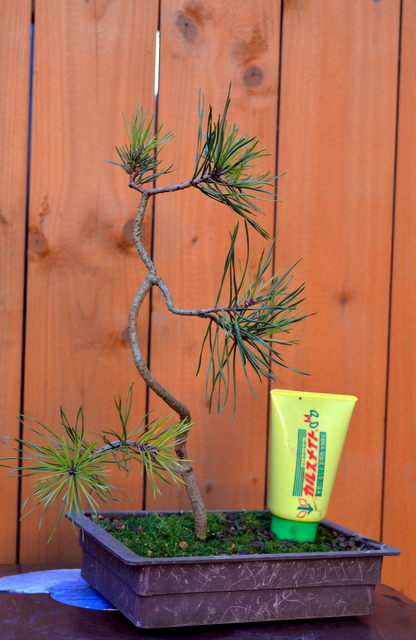 In fact, next spring I may just give it a root prune and plonk it straight into a bonsai pot. 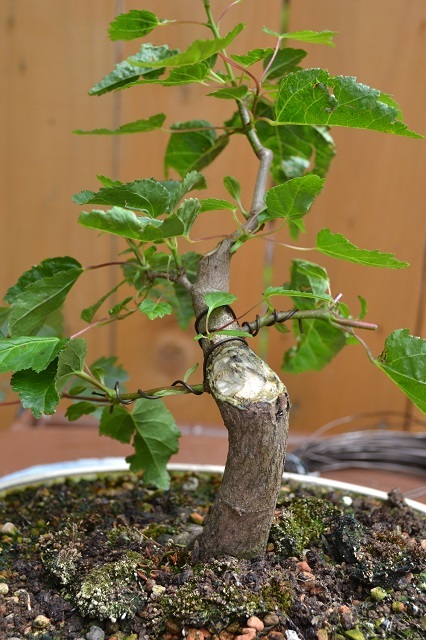 The trunk has some movement, internodes are pretty short and there’s promising nebari. 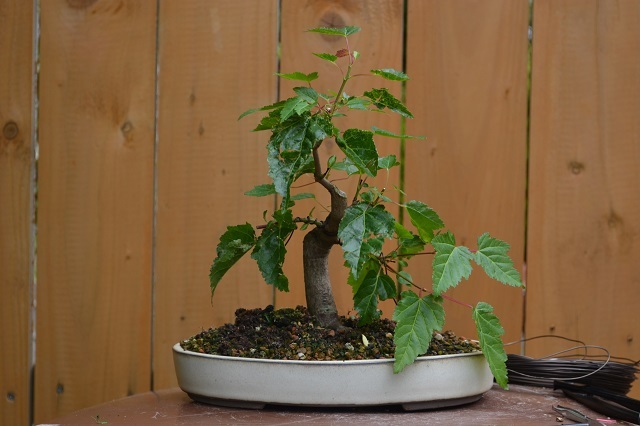 It’ll be something a bit different but after some surgery, it could be nice as a shohin bonsai tree. This is the small tree that originated as a hardwood cutting from the parent tree in the post two days ago. 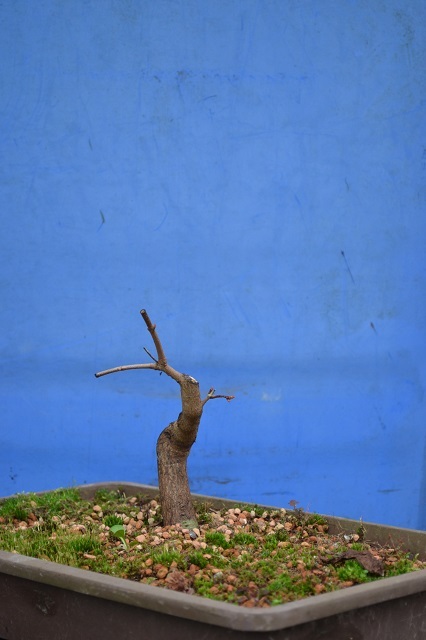 It was dramatically chopped last autumn too in the hope that new buds would set over winter and this tree fared better. I’m very happy with the new branching and I’ll continue to pinch out emerging buds and build up girth in the bottom branches and leader. 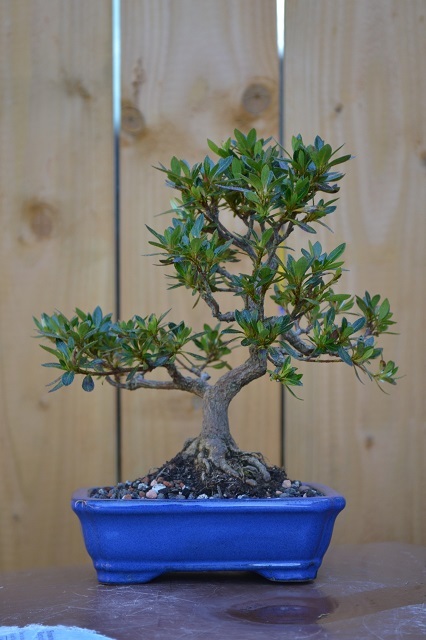 I’ve been looking online for a light blue pot for this azalea but haven’t found one the right size with the features I’d like. I was just about to put off repotting for another year when on Friday’s club meeting I found a suitable one being sold by another member. The existing pot was too long, too deep and too formal for this tree. I ideally wanted an oval with cloud feet but this new one is the closest I’ve found to what I want. I left it a bit late to repot and the new pot is smaller so I’ll pick out half of the flower buds that are developing to help it recover. Hopefully it’ll be wired later in the year. 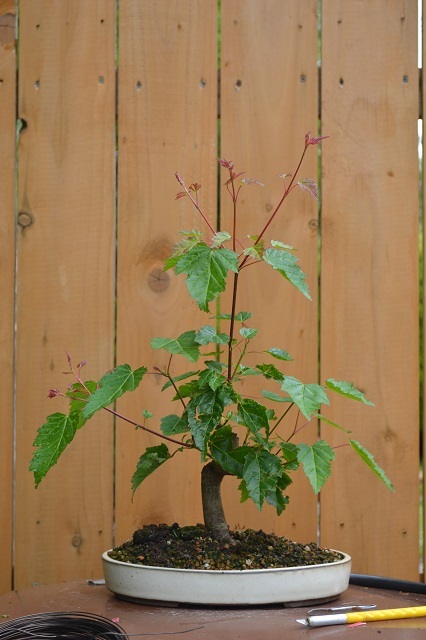 I undertook some drastic pruning of this Amur maple last year and at the weekend noticed buds starting to swell so it was time to root prune and repot. Definitely in need of a repot! I was a bit disappointed to find one thick root that dominated the pretty much one sided nebari. I expected better because this was originally a cutting from a parent tree. In hindsight, I should have checked the roots last year. 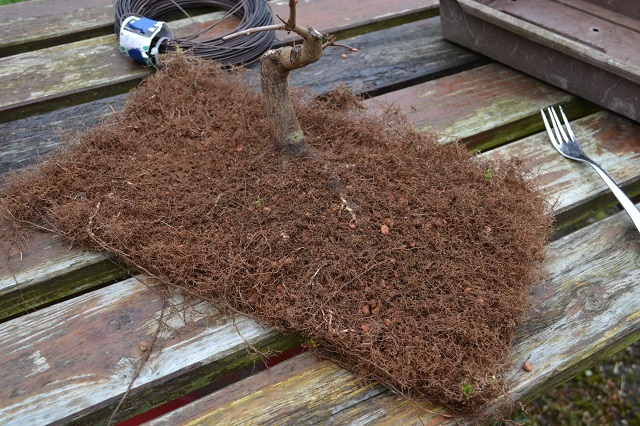 However, there were still other roots present that helped me determine the front of the tree last year when pruning. 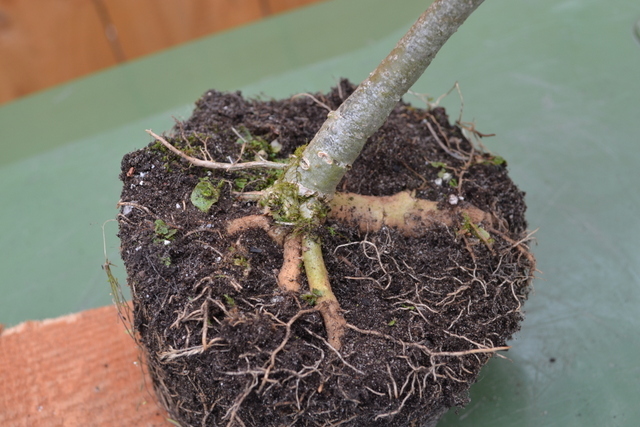 Aside from the thick root, I was really pleased with the rest of the rootball which was quite flat and even. It was like cutting a cake. 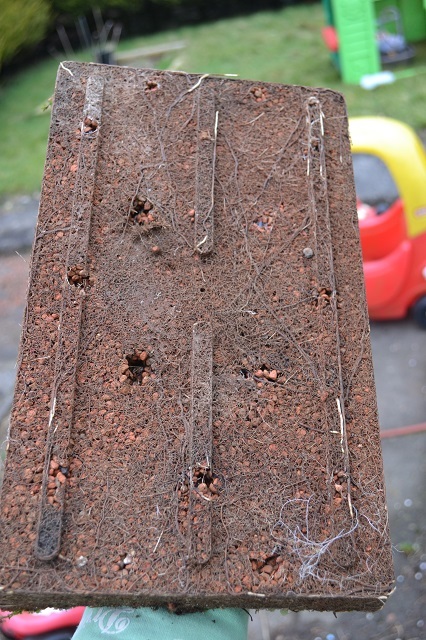 I removed a substantial amount on the side with the thick root and also pruned that back too. 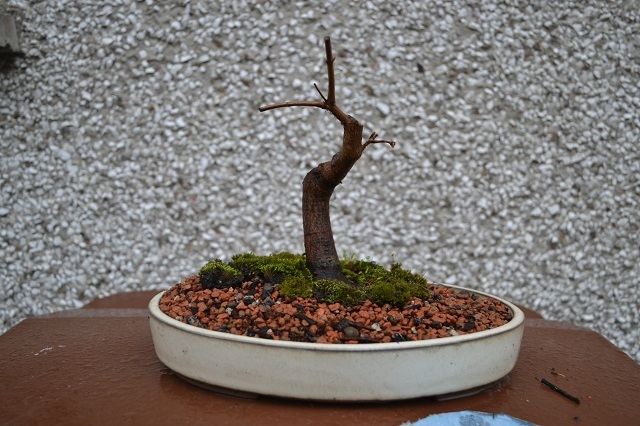 I had a spare shallow cream pot available and so placed the tree in that. It should make a nice image when more branching and foliage is developed this year. 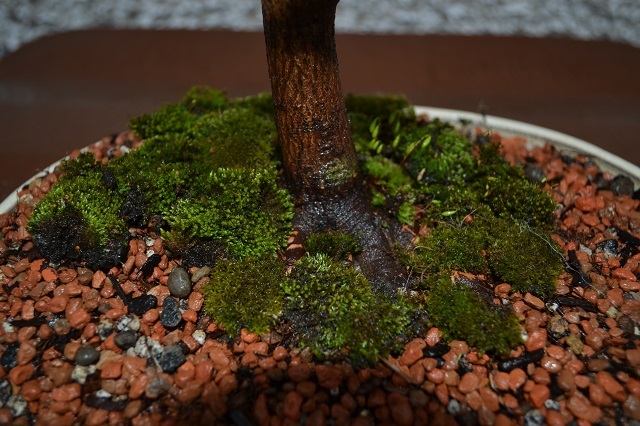 I tilted the tree towards the front and some fine roots were exposed once potting was complete so some moss was placed on part of the surface to prevent them drying out.